Ok so we are now counting down the days until Lion gets released. I am guessing at this point we have less than a week to go. So today I am going to talk about a few things you can do to get your machine ready for Lion to be let out of its cage! First thing I would recommend is to make sure all of your software is as up to date as possible. 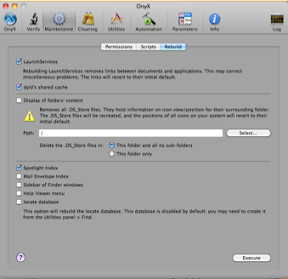 If you haven’t installed Snow Leopard yet that is the first thing you need to do. While many Apple Stores seem to be running out of Snow Leopard disks it is still available through the online Apple Store and through Amazon.com. If you are already on Snow Leopard make sure you are updated to the latest and greatest version 10.6.8 by opening System Preferences go to Software Update and click on Check for Updates. Make sure you get all software patches that are available. Next open the App Store App in your System Dock or in the Apple Menu at the top left of your screen and click on updates. Make sure all updates that are available are installed. The next step in my preparation for Lion was to install a program called Bodega from Fresh Code. Bodega is an App Store similar to the Mac App Store but is not run by Apple. Bodega has a nice feature that will scan through all of the installed apps on your computer and tell you if you have updates. I have not been able to use the built in updater to update some apps but with this list I can launch each app and check for updates and install or visit the web site and download the latest version of the app. You can also buy apps directly from Bodega. With all of your apps up to date or if you choose remove apps you don’t use or don’t like anymore from your computer to save space and make it easier to find apps in the future. Remember with Lion we now have LanuchPad and every app in your Applications folder is going to be showing up there. So feel free to get rid of any apps that you don’t find useful anymore by uninstalling them or dragging them to the trash. This would be a good time to use a program like AppZapper, AppDelete, or AppCleaner to get rid of old programs that you don’t use or don’t wish to update. AppDelete has posted on their web site they are Lion ready. Next on the list let’s do a little cleanup. Launch Onyx from Titanium Software. Verify the S.M.A.R.T. Status of your hard drive, Check the Structure of your volume, and scan your Preference files to make sure none are corrupted. Next Check your Permissions, run all maintenance scripts, and rebuild the LaunchServices, dyld’s shared cache, Spotlight Index, Mail Envelop Index, and locate database. Next clean and delete all System, User, Internet, Font, Log, and Misc. caches. You will need to click on each tab and choose execute to run each one in turn. Next check your System Preferences / User Accounts / Login items and remove anything you no longer use or want in your auto startup. Now in Profiler under Software click Applications and this will list all software installed on your computer. If you adjust the columns so you can see the Kind column and reorder the column by clicking on it you can quickly scroll through and see what types of apps you have installed. If you encounter any that are PowerPC they will not work in Lion. When you run your Lion install any PowerPC apps or apps that are not supported in Lion will be moved to a new folder that indicates the applications are not compatible. By clicking on the App the Location will be revealed in the lower pane so you can find and remove the incompatible app. If you don’t find them all it is ok Lion will find them for you during install time. This would also be a good opportunity to check your apps and find out which ones are 64 bit and start moving your apps to 64 bit if possible. The popular VLC Player for example has a PowerPC version for older Macs, they also have a 32bit version and 64bit version for the newer systems. 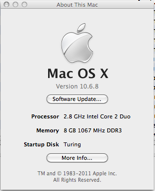 If you are running Snow Leopard or Lion in a week upgrading to the 64 bit version is worth while. It will save headaches down the road when it comes time to upgrade again and you might get a slight performance gain from apps and can more fully utilize RAM in your computer as more Macs start coming with more than 4 Gigabytes of RAM. Apple has done a good job of making the 32bit and 64bit applications very transparent to users. However if you are going to run the 64bit kernel in the OS all drivers must be 64bit. That has been largely handled by Apple but if you have any third party hardware check to make sure you have or can install a 64bit driver to keep things consistent. With Snow Leopard 10.6.4 and the 2011 Macs Apple started by default shipping computer with 64bit kernel mode turned on. We are closing in on the end of our Lion preparation just a couple more steps to go. Next I would check and make sure you have at least 8-10 Gigabytes of free hard drive space on your computer. If you don’t then you will need to remove some old data or install a larger hard drive. Lion will be about 4 gigabytes to download and then it will need space to work with for the installation. So make sure you have plenty of free drive space. Once you have done that the last step I would recommend is defragging your hard drive if you are using a mechanical drive. SSD users of course can skip this step. If you have a mechanical hard drive then I would recommend Drive Genius 3, TechTool Pro 5, or iDefrag as options to defragment your hard drive. This step could take several hours depending on how frequently you defragment your hard drive. For those of you that purchased a Mac after June 6th 2011 remember you can get a free upgrade to Lion through Apple. Just visit http://www.apple.com/macosx/uptodate/ for details. Once you are done with these steps sit back, relax and wait for Lion! Remember on install day it will probably take some time to download the Lion installer depending on bandwidth and how many people start downloading Lion right away. Good luck and happy upgrading. If you have questions, comments, or just need help with preparing for Lion feel free to leave a comment in this thread or email me at paultscott@gmail.com. I will be happy to answer as many questions as I can. Finally don’t forget to check out our weekly podcast myself and Dr. PC Jeff Bodenstein will be talking about Lion and other tech news and answering users questions. You can find our show in iTunes or at reboundradio.com. The show is called TechBits come check us out and leave us feedback.